St James's Park renaming rights | NUFC Blog. Archive for category: St James’s Park renaming rights. 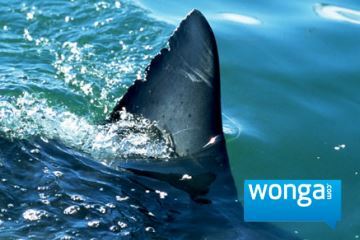 Wonga: Sinking their teeth into the North East. A radio programme which is well worth listening to if you’re a Newcastle United fan is BBC Radio Four’s “the Lending Game,” a 40 minute look at Wonga’s controversial sponsorship of Newcastle United. 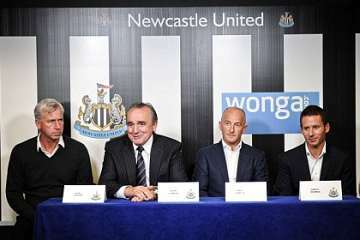 Do Wonga actually pay anything for St James’ Park naming rights? “It’s a big statement by Wonga to say: ‘We want the naming rights and we’re going to give it back to the fans and the community’.” gushed Derek Llambias. “For so long, Llambias and owner Mike Ashley were associated with taking unpopular decisions (“We started off poorly,” he admits) but the announcement of a controversial deal with Wonga yesterday was significantly sweetened by news about the stadium name.” purred the Journal’s Mark Douglas. Wonga and Newcastle United: Is it worth it? “And how the poverty of these unfortunates, among whom even thieves find nothing to steal, is exploited by the property-holding class in lawful ways.” – Frederick Engels, The Condition of the Working Class in England. 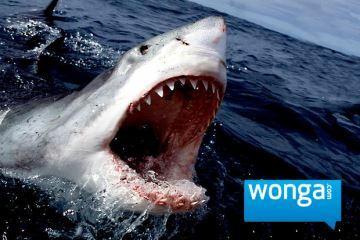 It is no longer news that Internet loan shark “Wonga” will be the club’s sponsors from next season for a period of four years. I was going to write this piece a few days ago, but on reflection, I decided to leave it for a short while to see what emerged in terms of further details about the deal itself, and also the level of opprobrium which was inevitably going to follow the announcement. The exact amount is still shrouded in secrecy, though a figure of £24 million for the four years (£6 million per year) was bandied around in the media after the announcement was made, then the Telegraph claimed that the figure is more like £8 million per year (£32 million over four years). When this was put to the Managing Director, Derek Llambias, he suggested that the £8 million figure was “not far off.” As it’s Llambias though, this may not be true, but it is all we have to go on. As well as this, it is also been claimed that Wonga will be investing a further £1.5 million in the club’s Academy. 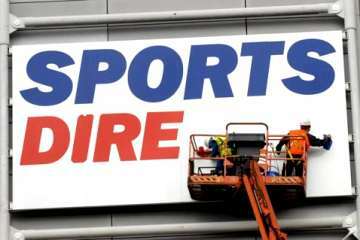 What has Newcastle United ever done for Mike Ashley (and Sports Direct)? There has been something of a rehabiltation of the reputation of Mike Ashley at Newcastle United recently. This, of course, has been due largely to the club’s generally upward trajectory in terms of it’s League position in recent seasons under Chris Hughton and Alan Pardew, as well as some successes in the transfer market since Ashley and Llambias cast their their three casino aquaintances adrift and let Chris Hughton bring in a proper chief scout, a move which has been highly beneficial for the club so far. "Make mine a treble!" 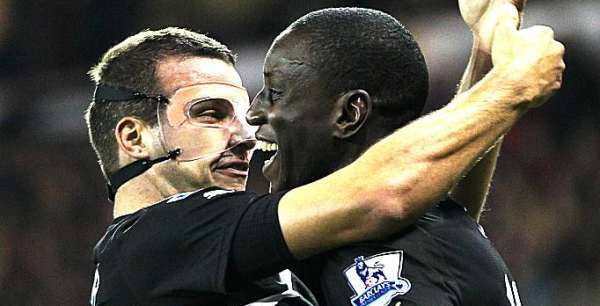 - Ba gets his revenge on the Potters who shunned him. NUFC Season Review – Part Two. The end of the season is finally upon us. A season in which defied all expectations. A season where even the most optimistic of Toon fans would have struggled to predict what would be. Newcastle United gate-crashed the top six, and also knocked on the door of the Premier League’s top four. As it turned out at 5pm on Sunday the 13th of May 2012, Newcastle United were confirmed as finishing in 5th place, above Chelsea, above Liverpool, and above the majority of peoples expectations.